As you know I attended a Xen-Tan event last week where I was introduced to my new favourite tan! At the event, we were given a presentation on a new product to reach the UK shores called GLAMGLOW*. Keep reading for a discount to purchase your very own pot of amazingness! 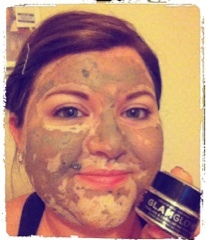 What can I say about GLAMGLOW*? Only that I am SUPER IMPRESSED with it and it is literally a wonder product! 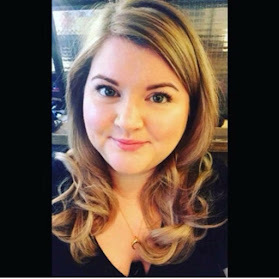 I'll be honest, considering I like to call myself a beauty blogger, my efforts in the skin care department include face wipes, a bit of moisturiser when I remember to apply it and SPF when I am in the sun. That's it. I have suffered with adult acne in the past and feel like I have literally tried so many combinations of skincare products over the years so now that my skin has settled down it is very much a case of if it ain't broke don't fix it.. (which I am sure I will live to regret when my skin is the texture of an old boot!) However in the spirit of trying new things and the fact I had this sample at home which was begging to be tested I decided to give it a whirl before my friend's big day at the weekend! It is essentially a mud mask which dries on the skin and after removal gives plumped, rejuvenated and exfoliated skin. I was a little bit apprehensive as I have tried a clay/mud based mask before (damn you Estee Lauder!!) and was left with a shiny bright red outline of where the mask had been on my face.. not a good look! But this was much different. You can feel a tingling sensation and it feels really refreshing on your skin. The scent is really clean and fresh and in all I genuinely really enjoyed the experience of giving myself what felt like a very luxurious facial in the comfort of my own home. Now for the science bit.. these are the ingredients..
Teaoxi™ - Patent Pending formula is GLAMGLOW®’s continuous time-release technology, delivering fresh Super-Squalene, EGCG Super-Antioxidants and Polyphenols directly into the mud from real pieces of Tea Leaf. Super powerful TEAOXI™ is responsible for brightening the complexion, protecting against free radicals, hydrating and balancing the oil levels in the skin. Volcanic Minerals - Pulverized into Micro Pumice, these ancient rock minerals give multi-level surface exfoliation and stimulate microcirculation, helping to detoxify and awaken the skin, reduce puffiness, under-eye circles and smooth fine lines while softening the skin’s texture to reveal younger looking skin. French Sea Clay - Dredged off the coast of Southern France and when combined with TEAOXI™ a tingling sensation is created, triggering 12 hours of Collagen Synthesis for a noticeable wrinkle deduced 3-day glow. French Sea Clay absorbs impurities and toxic substances reducing pore size and helping to look younger by reducing the appearance of age. I have been given an extra special discount code for GLAMGLOW* so please do try it I would highly recommend it! This code is for one use only per person and is valid until 31st August 2012. Head on over to the GLAMGLOW website and please enter the code BBGLAM20 at the checkout to receive 20% off making it an absolute bargain at 16 shiny pounds! Here are some more pics from the Xen Tan Event and one of me enjoying GLAMGLOW*! Here's me, listening intently to another beauty blogger! Glam-glow looks an interesting product. It seems that it work really good on acne. Your experience with it also suggest that you likes it lot than other product.